The 7th season of the popular StarSeries & i-League tournament is about to begin and this time the stakes are higher than ever. The 16 participating teams will compete for a share of a massive $500.000.00 prize pool where the winning one gets half of it. Among these teams you will find many of the best in the world, such as ENCE, FaZe Clan, Fnatic, MIBR, NiP and NaVi. There are, however, also three lesser skilled competitors who have entered the tournament through qualifiers and who will try to prove that they’re worthy to fight with the big dogs; Team Spirit, Panda Gaming and paiN Gaming. The event is starting on the 30th of March and will kick off with a group stage played in a Swiss System Format. All matches in this will be best out of three so you can expect a lot of action right from the start. After the group stage, consisting of 5 rounds of matches, half of the teams will be eliminated and half of them move on to the playoffs which are starting on April 5th. 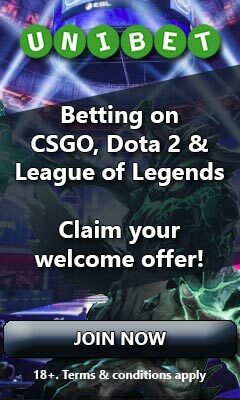 With only two days until the tournament begins with the first round of matches, some of the best eSport betting sites have their match odds ready and plenty of different markets to go with these. To help you choose the right operator to have your bets placed with, we have compared their odds and markets below. The odds which you see highlighted in yellow are currently the highest ones giving you the best value for that particular outcome. Please note that we have highlighted odds for both the home and away team winning in all of the eight matchups.